The About view shows a summary of information about the computer Remote is connected to. This information is useful for uniquely identifying the computer. 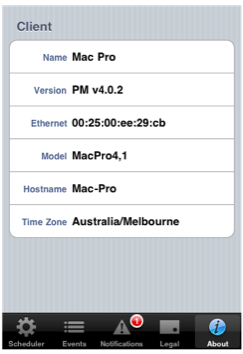 The information includes the computer's local hostname and primary network address, also known as the computer's Media Access Control (MAC) address.